An SEO Strategy Specifically Created For Lawyers! Our SEO Services For Lawyers Will Bring You New Clients! Every website needs SEO. Law firms are no exception. With years of experience in digital and SEO marketing, we brainstorm innovative strategies for a lawyers and paralegal experts who are seeking new clients and interested in branding and promoting their law firm. Search Berg proudly works with law firms across the United States in assisting them with achieving these goals. A visible increase in organic traffic—more visitors leads to more clients. Higher search engine rankings. We focus only on the keywords that bring results. Low website bounce rate, strategic keyword mapping, valuable content and CTAs that work! White Hat Linkbuilding strategies that keep your website safe from penalties and retain long term high rankings. We are confident about our SEO process and overall internet marketing strategies. This is why we offer a 30-day no hassle money back guarantee for SEO projects. If Search Berg is unable to rank your website in Google, we will refund your retainer no questions asked! What are waiting for? Take your law firm to the next level and see what SEO and digital marketing can do for you! Content Driven Lawyer SEO For Your Practice That Delivers All the time, Every Time! 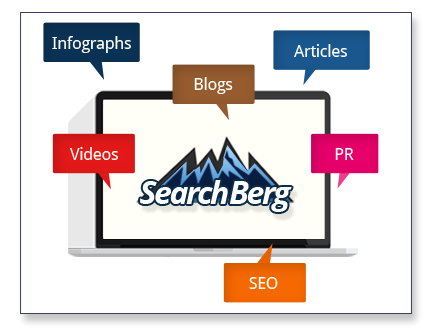 Hire Search Berg for Law Firm Marketing Services Today!